Valencia’s regional Compromís party is going to the courts in its fight against local municipalities who refuse to remove Franco-era street names and symbols from public places in compliance with Spain’s 2007 law of Historical Memory. Compromís Senator Carles Mulet says the party has filed the first seven lawsuits against local governments across Spain that refuse to abide by the law, which bars public glorification of heroes and events of the 1936 military uprising against Spain’s democratically elected Republican government as well as the four-decade dictatorship under Gen. Francisco Franco that lasted until the late-1970s. A campaign launched by Compromís prompted Spain’s Senate to issue warnings last year to local governments about non-compliance with the law in their failure to remove some 2,000 plaques on streets and plazas across Spain, resulting in the removal of Franco-era signs and symbols in more than 82 towns and cities in at least five provinces, with dozens more municipalities promising to comply. But many local councils have so far failed to act and some, including Pajares de Laguna in the province of Salamanca, responded to the Senate warnings with outright hostility. Mulet said Monday his party has decided to take the matter of non-compliance to the courts, filing as a plaintiff in case local public prosecutors’ offices should try to avoid filing charges. The first seven lawsuits pertaining to street-name changes have been filed against Salamanca’s Pajares de Laguna municipality, as well as Ocaña (in Toledo province), Serratella (in Castellón), Rionegro del Puente (Zamora), La Roda (Albacete), Nalvalmoral de la Mata (Cáceres) and Tórtoles (Ávila). 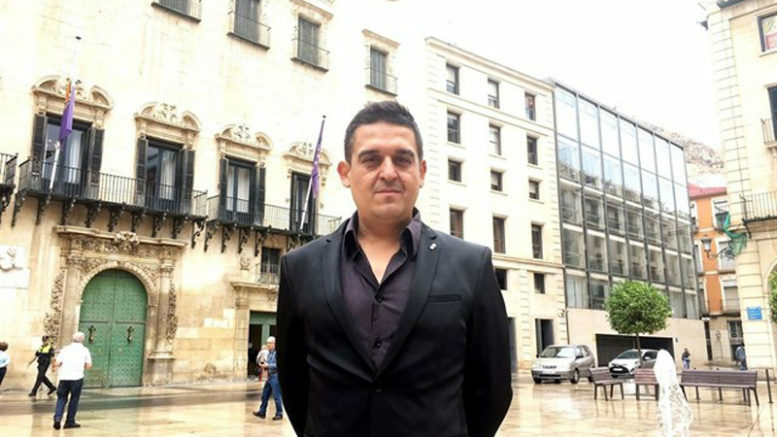 In the case of Pajares de Laguna, the town council is also being sued for slander as a result of a heated and hostile response from the town’s former mayor in a letter sent to the Senate, which contained insults against both the President of Spain’s Senate, Partido Popular (PP) politician Pío García-Escudero, and former President José Luis Rodríguez Zapatero, whose Socialist party (PSOE) majority in Congress approved the Historical Memory Law in 2007.